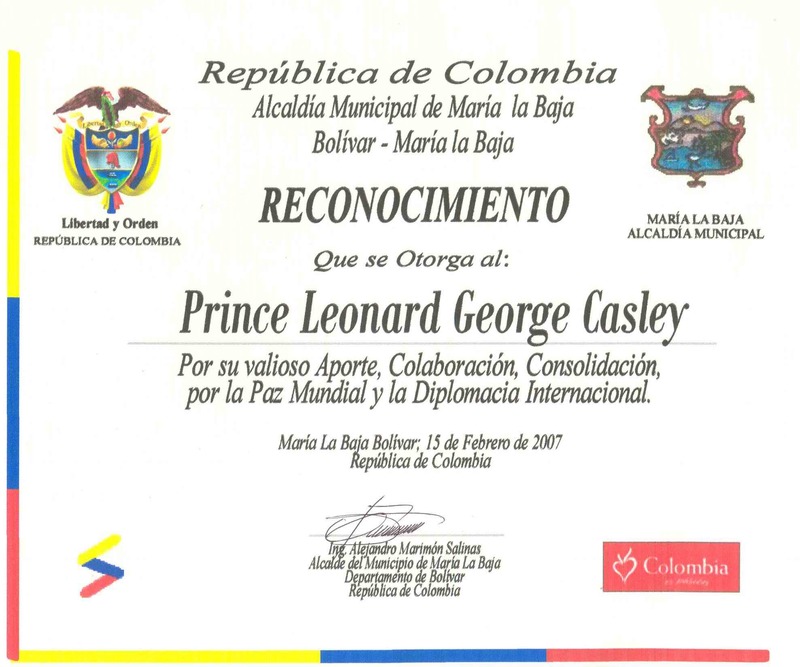 A proclamation from the Mayor of Maria La Baja, city in Colombia, recognizing HRH Prince Leonard for his contributions to world peace and international diplomacy. 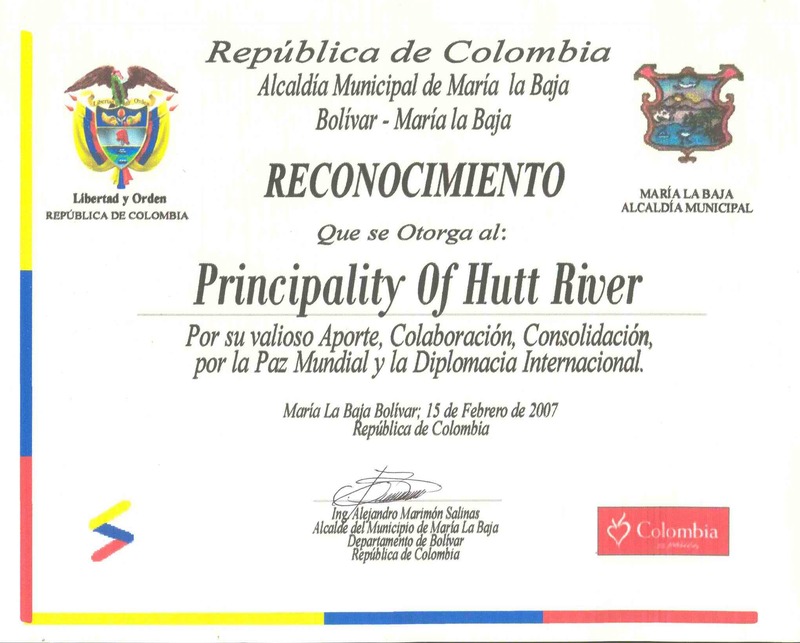 A proclamation from the Mayor of Maria La Baja, city in Colombia, recognizing the Principality of Hutt River for its contributions to world peace and international diplomacy. 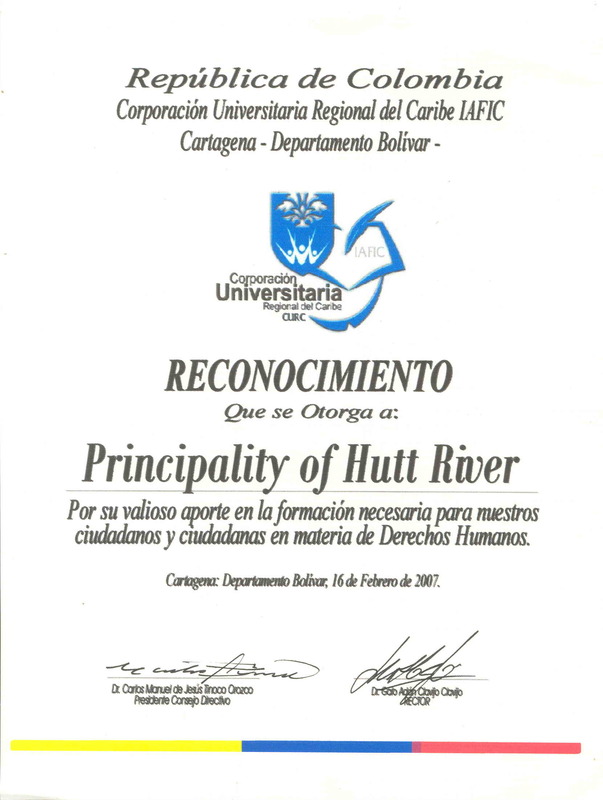 Diploma from a regional university of the Caribbean in Colombia, recognizing the Principality of Hutt River for its work in support of human rights.